Installation of all mechanical and plumbing systems for the new business school building. 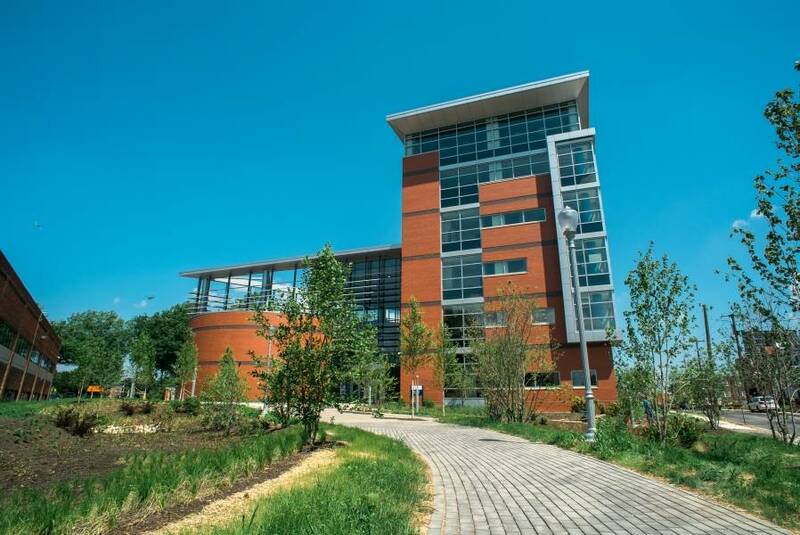 In September 2016, La Salle dedicated and named its new six-story 87,000 square foot School of Business building. 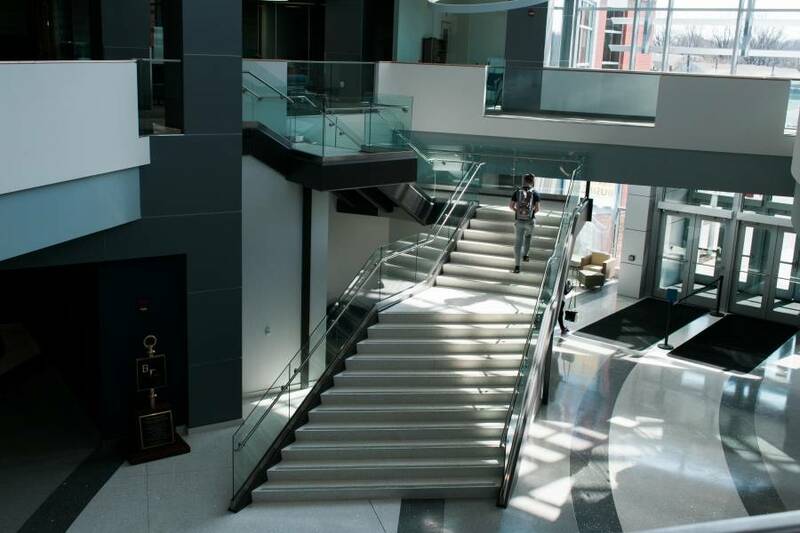 Founders’ Hall is one of the most technologically advanced business school buildings in the nation. 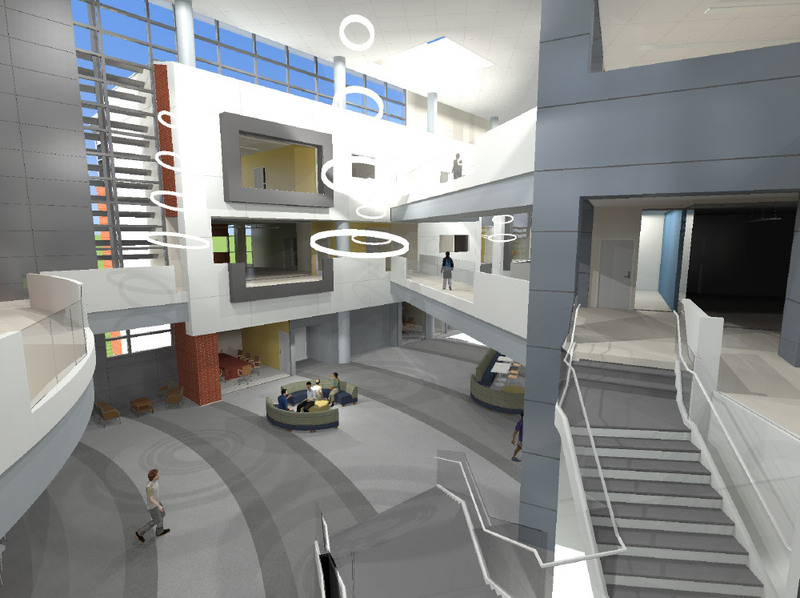 Founders’ Hall features a completely wireless infrastructure allowing students to interact in real time globally, a sales training laboratory, corporate style boardroom, and a 400 seat auditorium. 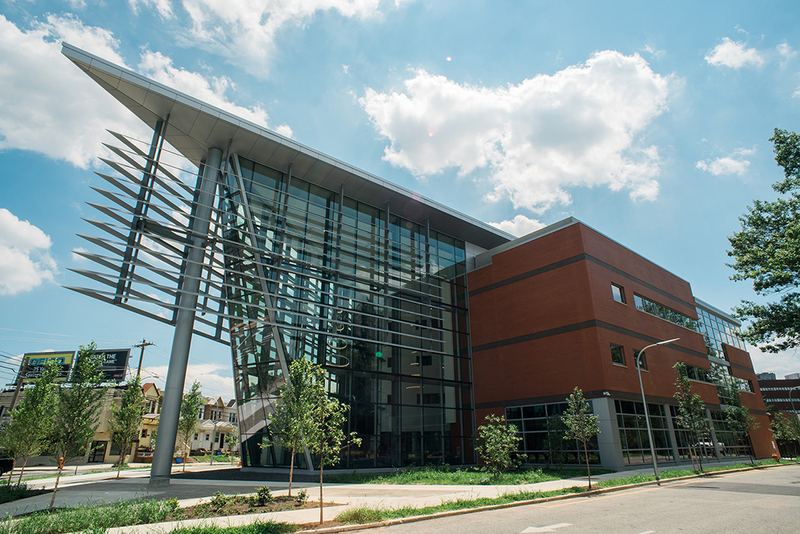 Elliott-Lewis successfully installed all mechanical and plumbing systems for the new business school building. 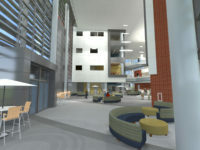 The building’s environment is properly air conditioned with two 180-ton air cooled chillers, five main air handlers and nearly 100 variable air volume boxes. The chilled water pumps are controlled by the variable frequency drives, which provide optimal energy efficiency. The building air handlers are equipped with high capacity filtration to provide a safe, clean, and healthy environment to teach, learn and work. 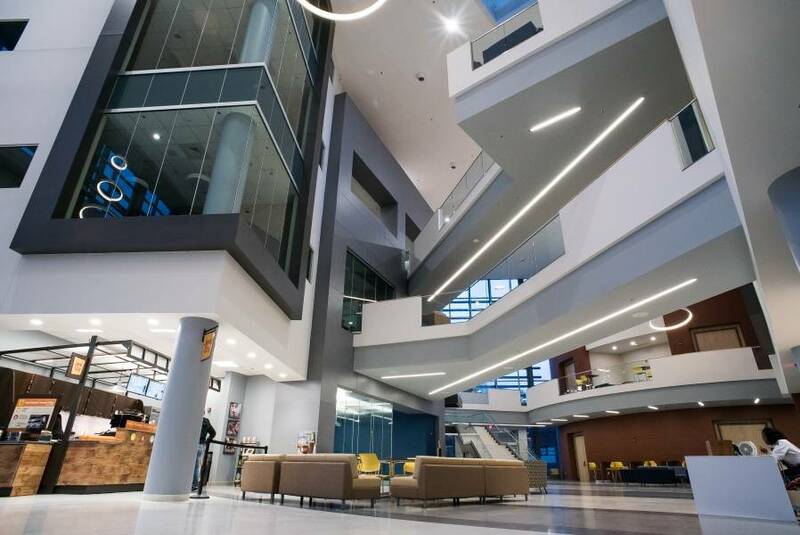 The building utilizes hot water boilers to properly heat the building, and hot water radiant flooring keeps the four-story glass atrium warm during the cold winter months. Founders’ Hall is one of the most significant projects in the history of La Salle University. Construction started in September 2014 and was completed on schedule and within budget just sixteen months later.